Aloo, Gobi aur Matar Sabji, delicious and flavourful, cooked in an onion, tomato and spicy gravy. Rinse cauliflower and let all the water drain. Wash the potato and green leaves, leave it aside. In a heavy bottom pan or kadai heat oil and add onion and sauté until light brown. Now add green chillies and chopped tomato. Cook the mixture until oil separate from the mixture. Now add all the masala and let it cook again, once again let the oil separate from the mixture. Add kasoori methi, mix and add potato and leaves. Mix well and cover the pan with the lid and keep heat on low. After 3-4 minutes , add cauliflower , green peas and salt.Mix well, and cover the pan with the lid. Let the sabji cook on a very low heat, it will take about 20-25 minutes. In between keep stirring the sabji to prevent sticking. Once done, sprinkle coriander and serve hot. Enjoy with hot chapatti or paratha and yogurt and salad. 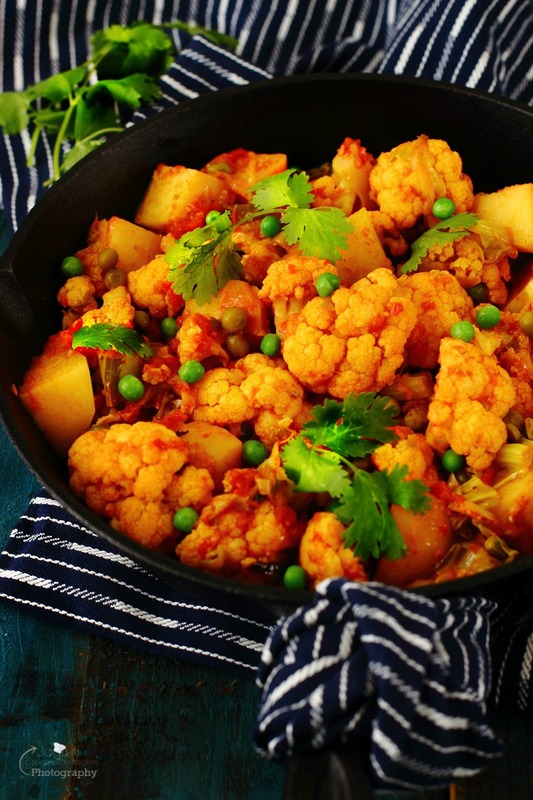 I adore aloo gobi (mostly because I love cauliflower so much) its such a fantastic dish, your recipe looks fantastic! 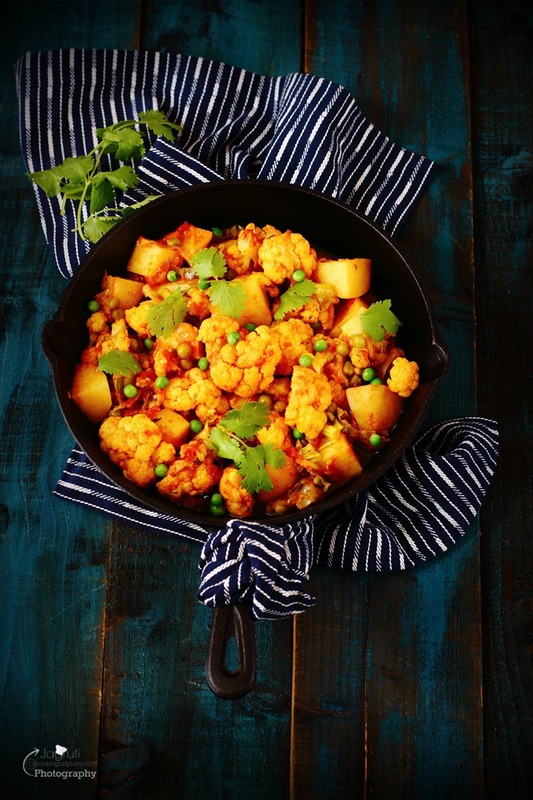 Your post made me laugh - I think I'd rather make Aloo Gobi than bend it like Beckham too! Yum! I always order this out, but have never made it myself. I'll need to give it a try! This looks delicious. I too enjoy the dish but haven't tried making it yet. I'm Ok at football or soccer as we say here, but I think making this would still be easier then bending it like Beckham! Anything with cauliflower is a winner to me and these beautiful spices make this look sensational! 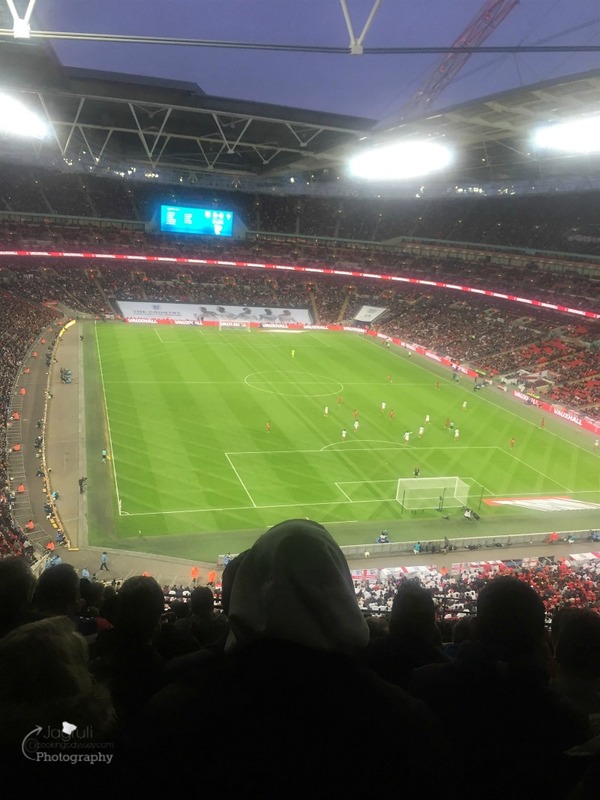 Oh yes, I remember that reference in Bend it like Beckham! Had forgotten. Classic dish, and lovely images. This looks delicious! 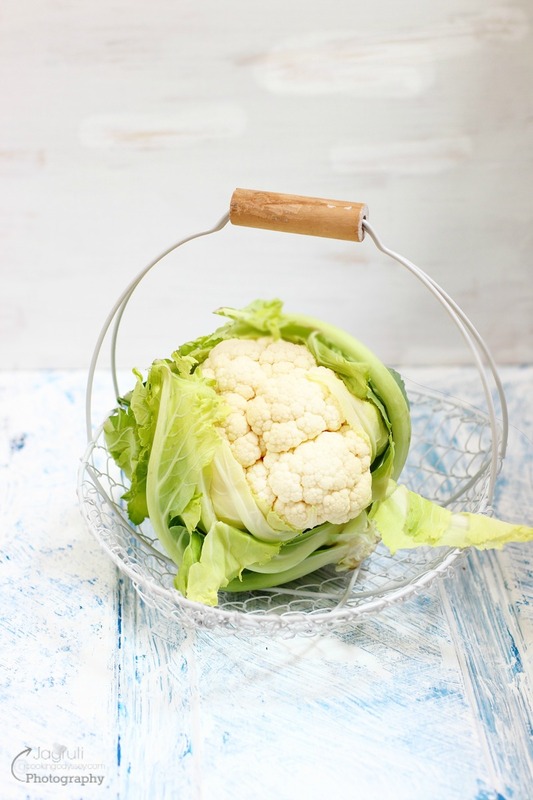 I am such a fan of cauliflower in aloo gobi although it is only a couple of years since I started liking it! I love how it goes so well with spices.